Salisbury for years has been a strong team. Last year the brought home a trophy. 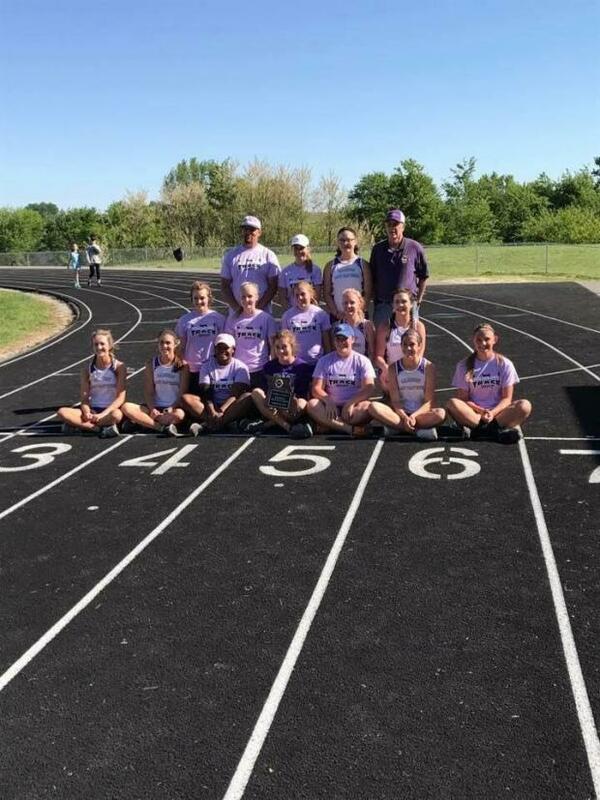 Traditionally, they have been a team built on gritty distance runners who can run everything from the 400 dash all the way up to the 3200. Additionally, they might have the best jumps coach in the state in Coach Knox. Dominating the jumps along with distance events has been like death and taxes at Salisbury. Last year they finished fourth as a team along with bringing home a number of medals in the sprint events. With their new head coach Toney Wales, they have a strong investment in the throwing events. It seems the investment has paid off with a couple of the best javelin throwers in Class 1. In fact, they have a very strong throws crew that would even be the envy of most Class 5 programs. Team photo after their big win. Tony Wales: The most satisfying part of this win was that this was my first ever district championship in my first year. I had girls that at the beginning of this year had a district championship as a goal and they worked hard to get this accomplished. If you ask our girls, "Yes". As for me, I realize that a season is a long grind and things can happen (injuries and other situations), so I thought that if we stayed healthy, with the core of girls we had from last year, that we could win. The most special thing about this team is the strength we have in all events. Whether it be the sprints, jumps, throws or distance, we have girls that can score in all events. The highlight for me would have been early in the day. We had a young lady re-break her school record in the javelin. It set the tone for us on the day. When all the other teams are showing up (since the javelin started early at our district) and you already have 16 points from the javelin, you know it will be a good day. We would like to get all of our girls from sectional to state, which is a possibility. Once we get down there our goal is to perform our best. We'll look to set our personal records and see where that ends up placing up. If we go down to state and perform the way we are capable, I think we stand a great chance of bringing home a state trophy. We just need to show up and run our best and we'll be alright.